The Big Fish Fillet blade (BL879) is a super size fillet blade that can handle any large fish or game with ease. 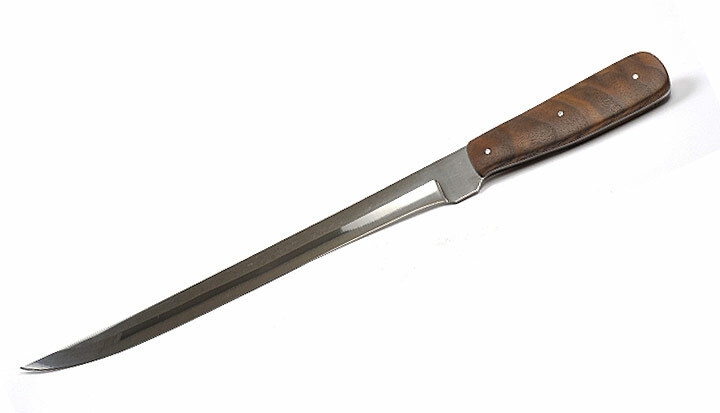 The hollow ground blade is made from 440C steel with a high polish finish. This blade has an over size full tang handle. The blade has had cryogenic treatment for extra edge holding. Handle is XL Walnut wood.